When it comes to hiring a pest and termite inspection company many people settle for the quickest solution they can find. This is a short sighted approach because it is important to make sure you hire a company you trust to fix your problem. Many customers get into this situation because of an imminent threat of a pests, rodents or insects in the home. Here are some of the more common mistakes people make when hiring a pest inspection company so you can avoid them yourself. One of the most vital aspects of hiring a company is learning how much experience they have in the field. Are they just starting out or have been in the industry for decades? If they are just starting out, or branching out to a new type of pest, do they have the requisite skill to solve your issue? Make sure you ask them how long they have been in the pest control business to see if they are a good match for your situation. Another trouble spot that people run into is by making a rash decision and hiring a company over the phone. When you see ants invading your kitchen, or have rats climbing in the rafters you need an immediate fix. It can be easy to hire whoever answers the call first. But you need to make an attempt to have potential pest control companies do a visual inspect of the property and make a plan. Make sure you take the time to have a company come to the house before you make a final decision. It is critical that when you go to hire a pest control company that you get your estimate of costs, as well as the game plan of what will be done to fix the pest, insect or rodent issue. If you don’t get a plan in writing, how will you know that the company will be doing what they promised. By having a plan in place between you and the business, you can be sure the steps that were agreed upon are followed. Another mistake that many homeowners will make is choosing the most economical plan available rather than the plan that will provide the most comprehensive solution. While budget concerns are certainly a consideration, if you fix the problem poorly the first time you may have to come back and fix again for more money. The prudent approach is the find the plan that is the most complete and gives you the best value. When this is identified you can get the best results as the customer. One of the best indicators of how well a pest and termite inspection company will perform for you is to look on social media outlets to see how they are reviewed. You should consult their Facebook, Yelp reviews, and see if there are any posts for Google reviews. These are unbiased reviews from real customers that help you get a true sense if the company in question can help you how they advertise they will. While there may be other mistakes to consider, the list above will certainly help a potential pest and termite control inspection customer make a better decision. At Northwest Pest and Termite Control, we are confident that we can provide you with the level of customer care and expertise that your situation needs. We make it a practice to provide our customers with a written bid so they can keep track of our progress. We strive to always get positive reviews on social media, and we work to keep our bid competitive but also provide the complete package our clients need to resolve the issue. 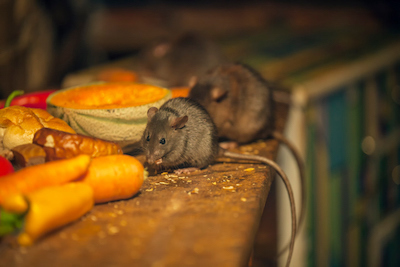 Contact us today to learn how we can help you with your pest and rodent issues.